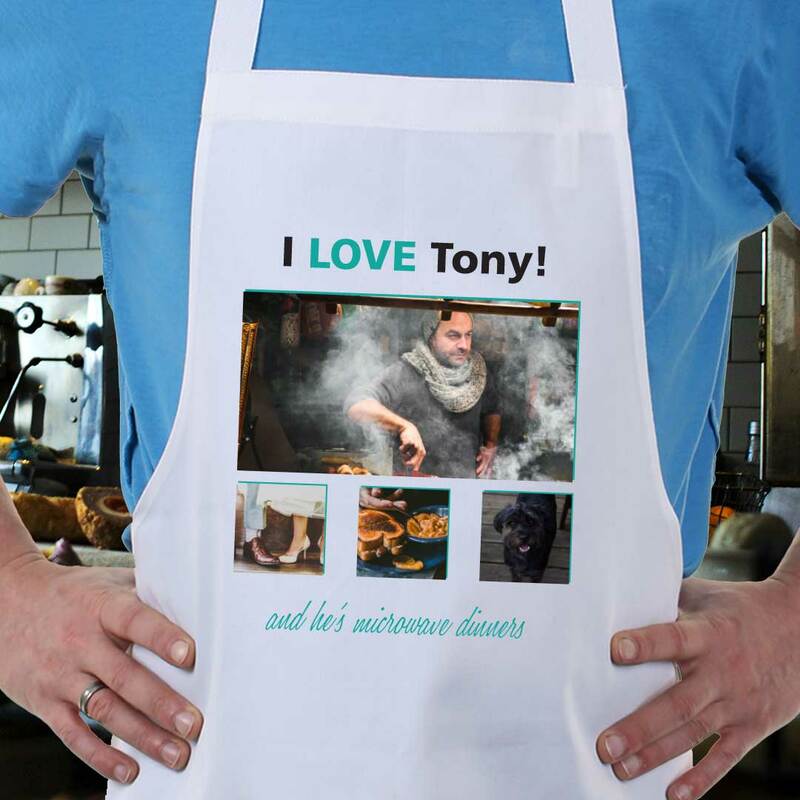 This personalised apron is an ideal gift for your very own house chef! 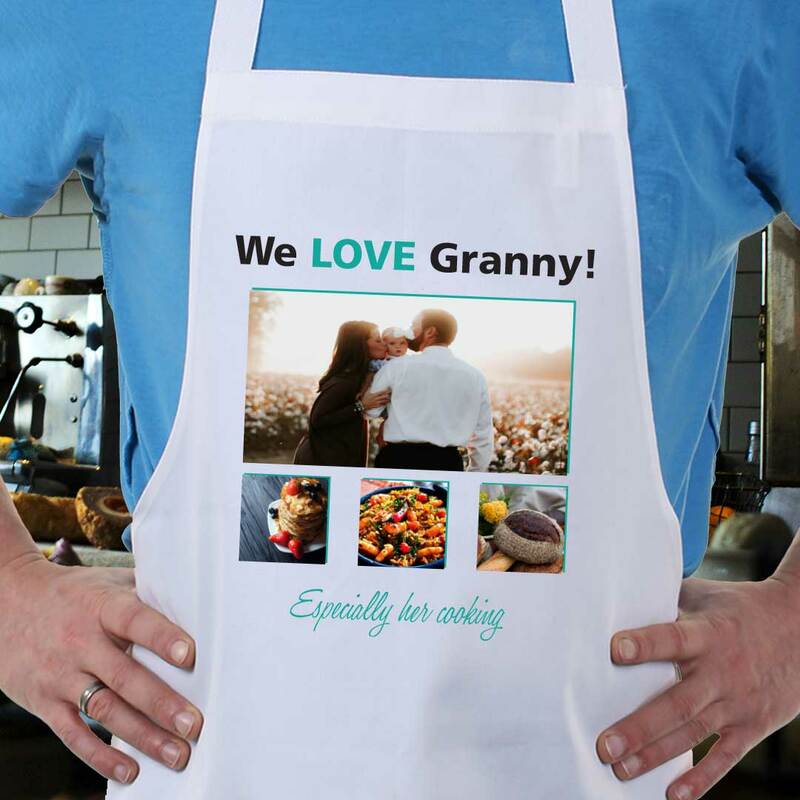 Add your name, four special photos and a short message to this lovely apron. Make your gift special, tailor it your recipient. Comes in one adult size to fit all and suitable for males and females. Order up to 4pm (GMT) and this personalised gift will be shipped today!